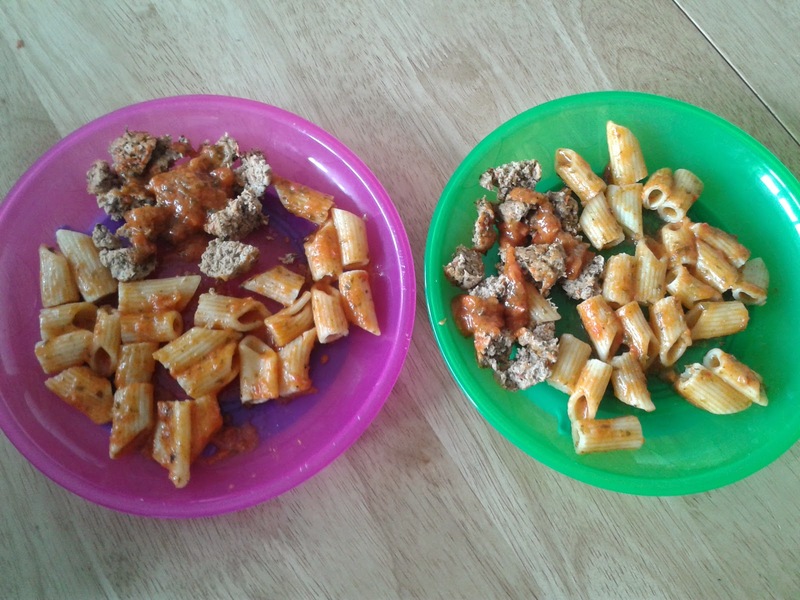 We recently received some toddler meals to try from Nanna Kay's No Added Salt range. 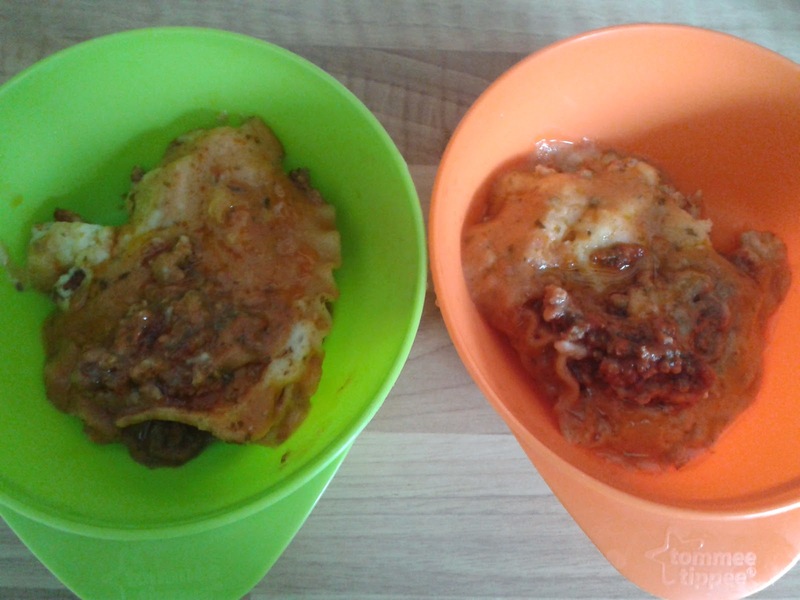 Normally, I am not a fan of pre made baby/toddler food, or even ready meals aimed at adults! I often this that they are very bland and contain ingredients that are not normally found in a household kitchen. I am a true believer in good old home cooked food for the family. So when I was approached by Nanna Kay's I read a little about the company before I agreed. I liked what I read, we agreed to try their meals and I was not disappointed! "Nanna Kay's is dedicated to helping parents cope with the demands of the real world while ensuring that their children maintain a healthy and balanced diet. Our mission consists of two interrelated parts, both of which are equally essential in the development of our exciting, creative new approach to ready-made food for children." This made me curious to see if Nanna Kay's were going to be like other children's meals, or if they were going to be different. 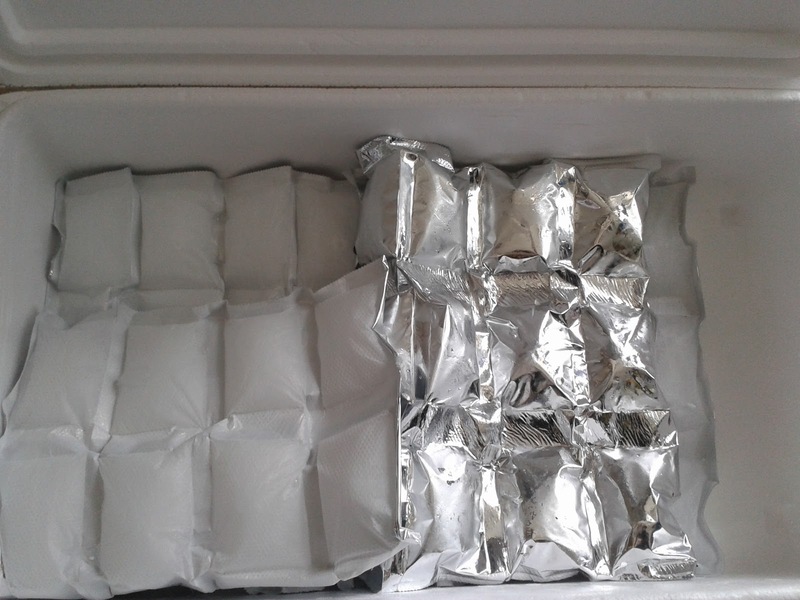 We quickly received a delivery of frozen meals They arrived in a large polystyrene box filled with ice packs. 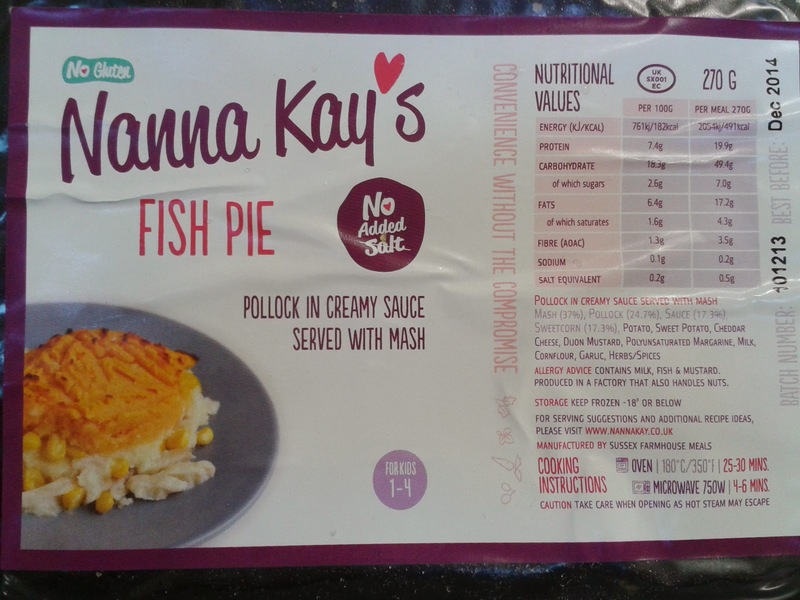 Nanna Kay's meals are always flash frozen to help maintain the meals keep their high nutrition﻿ levels. All of the meals can be cooked from frozen in either the microwave or the oven. We received Meatballs and Pasta, Lasagne, Fish Pie, Macaroni Cheese and a Cottage Pie. These are all meal which I cook myself so I was curious to see how they would compare to home cooked meals. 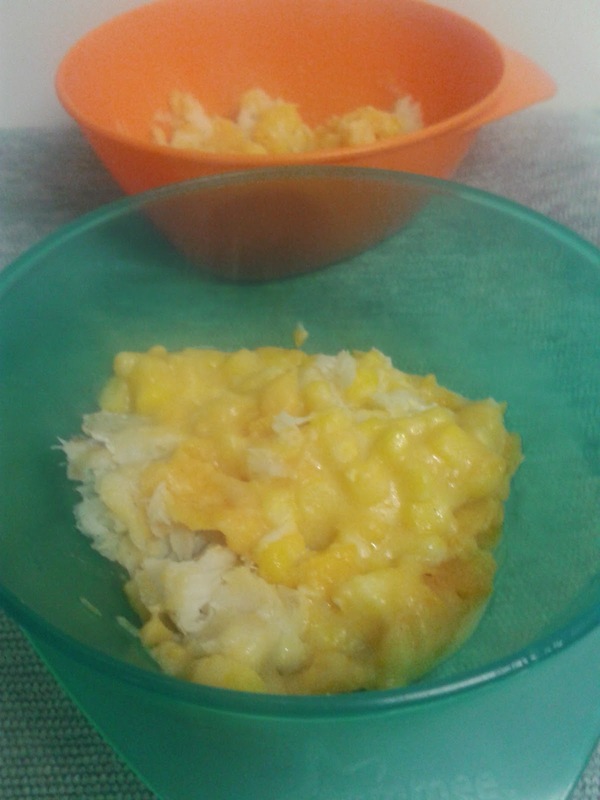 The first meal that the twins tried was the fish pie. I was pleasantly surprised to see that the fish pie did contain full pieces of fish fillet. The twins certainly enjoyed the meal and I was pleased that it did actually taste like a home cooked meal. From the one meal I got a serving each for the twins and they had just enough. We were just as pleased with the other meals. They were all full of flavour and were not at all bland. The only suggestion that I would make it that they add a little more sauce to the meatballs and pasta and maybe have some bigger chunks of vegetables in the meals. But all in all the twins did enjoy the meals and they were as promised, just like home cooked meal! I was also pleased to see that Nanna Kay's food packaging is recyclable unlike many ready made meal containers. The ingredients lists and nutritional information are both clearly set out. When you read the ingredients you know what they are, there are no mysterious, unknown ingredients as with many processed, ready made meals. 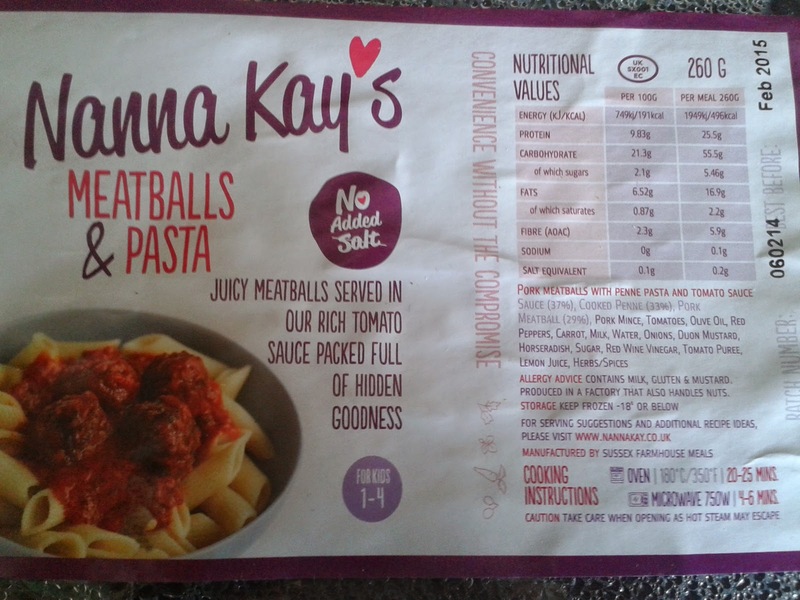 Nanna Kay's No Added Salt meals are available from Nanna Kay's online. The meals are priced at £2.75 for infant sized portions and at £3.25 for junior sized portions. They do have a minimum order of £13.50 and delivery is priced at £6.95. The prices for the meals are a fair price as you pay for good quality, but when compared to the cost of preparing a home cooked meal they would be expensive to use everyday. Being a stay at home mum I have the luxury of having time to prepare home cooked meals but if I was working these would be an ideal meal to keep in for the children for when time isn't an option. 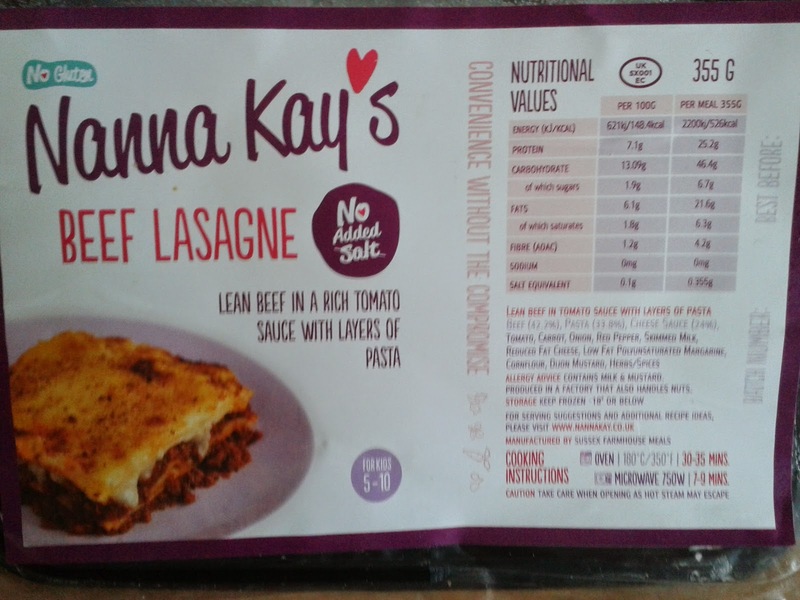 We were sent the Nanna Kay's No Added Salt meals free of charge for the purpose of this review. We have not been paid for this review, all opinions and views are my own and 100% honest. I am sharing this review with Family Fever and We're Going On An Adventure Tried and Tested linky pop over and see what other bloggers have been reviewing this week! They sound like the'yd be great to keep in the freezer but I agree - pretty expensive for regular use! They do look much better than a lot of ready meals, especially toddler ones and I am sure they would be great for a busy household. I've never heard of this brand before. they look good though. I always try and have something as back-up in the freezer, although 9 times out of 10 it's fish fingers! Ooh - I've not heard of these! I do now and again buy D meat based meals as I don't cook very many for him - I just want him to have variety and he does quite like meat. I tend to opt for Little Dish. This is something that I used to look for when my children were younger - the choice for baby food 15 years ago was quite limited. There was slightly more choice three years ago when my daughter began weaning.